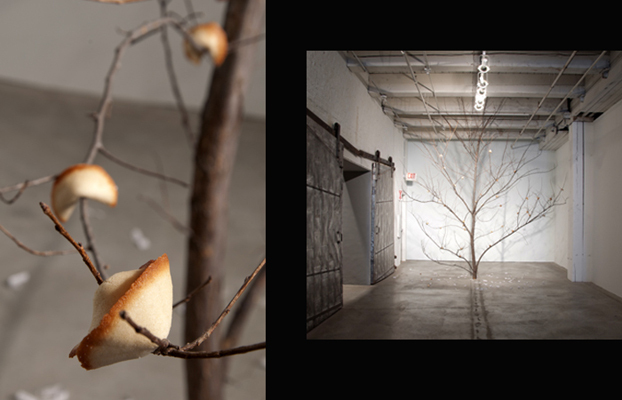 Made In China, an interactive installation, edible fortune cookies on trees, 12' x 12' x 12', installed at the Bemis Center for Contemporary Art, Omaha, NE, 2011. 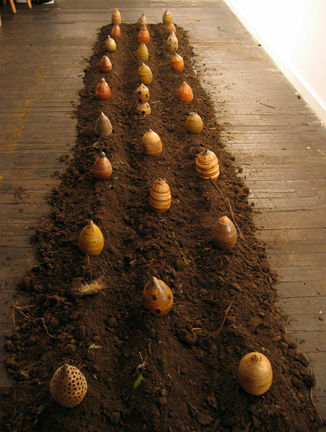 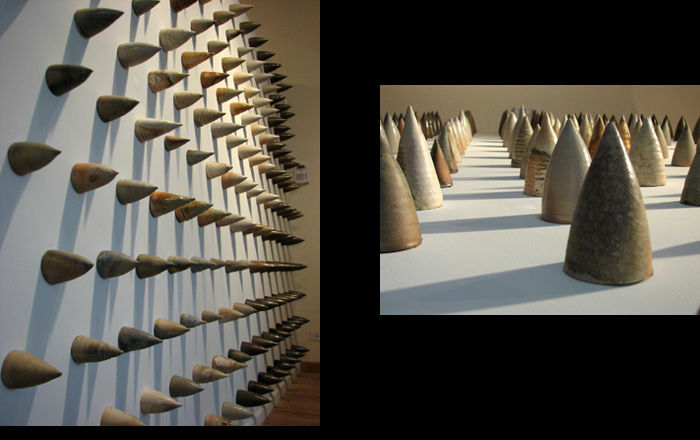 Manipulation of Trees, an interactive environmental installation, wood fired porcelain on trees, 12' x 12' x 12', installed at Jackson Artworks, Omaha, NE, 2009. 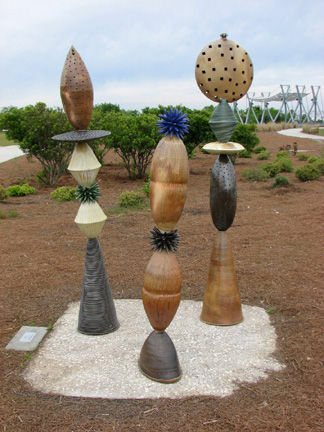 Serve and Protect, an interactive environmental installation, wood fired porcelain, 8' x 8', installed at Woman Made Gallery, Chicago, IL, 2008.
installed at Washburn University, Topeka, KS, 2008.
installed at the Riverfront Park, North Charleston, SC, 2006. 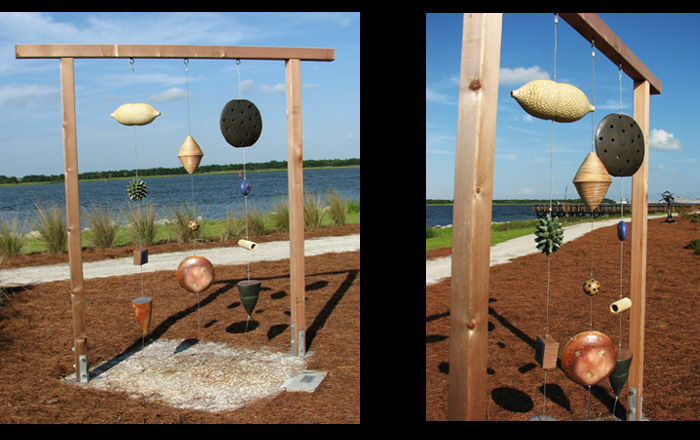 Hanging Totems, clay, steel cable & cedar, 96" x 96" x 12", installed at the Riverfront Park, North Charleston, SC, 2007. 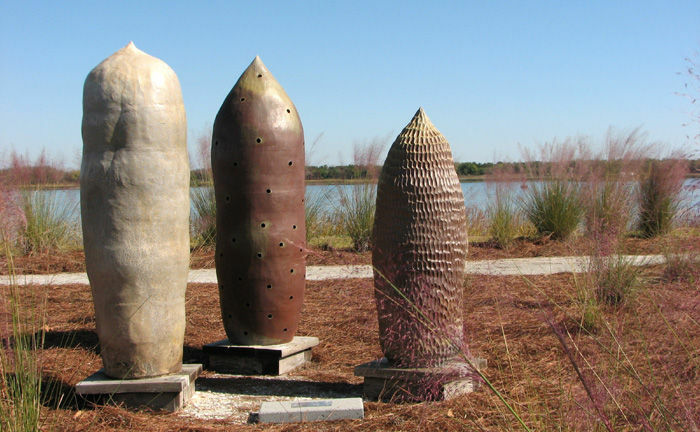 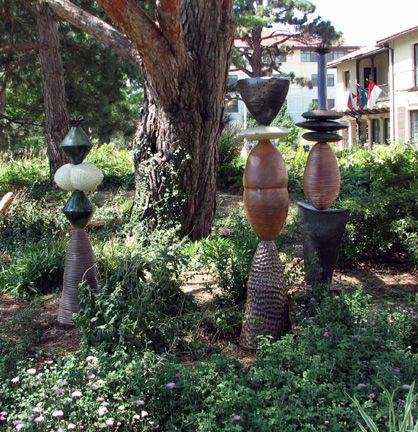 Pod Forms as Icon, wood fired stoneware, 40-48" x 24" each, installed at the Riverfront Park, North Charleston, SC, 2008. 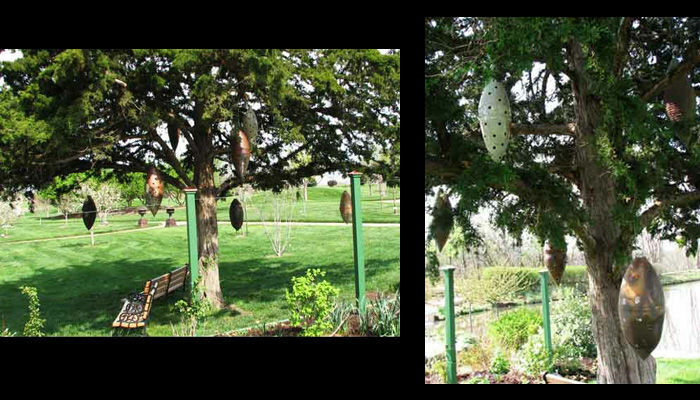 Hanging Pods, clay & steel cable, 24" x 14" (each pod), installed at the Overland Park Arboretum and Botanical Gardens, KS, 2008.
installed at the Darkroom Gallery, Omaha, NE, 2004. 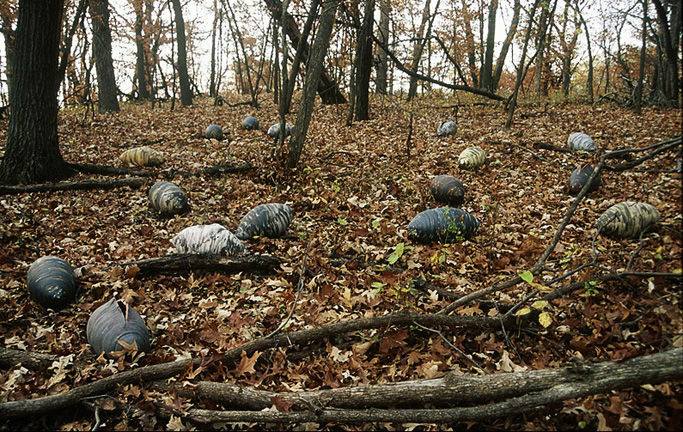 Fields of Hope, clay, 17" x 10" (each pod), installed at Fontenelle Forest Nature Center, Bellevue, NE, 2003.